Some days are full of anxious emotions like worry and fear, while other days are full of emotions of joy, hope, and satisfaction. It took me a long time to realize how much influence my own thoughts have on those emotions. It’s only natural to assume our circumstances generate our emotions. It feels as if the things happening to us create good or bad feelings. And to a large extent, life events do affect our emotions. But the way they influence our emotions is through the beliefs and perspectives we hold. The cliché phrase, “What doesn’t kill you makes you stronger,” changed my life, but not until I realized that thoughts are things. When I made that cliché phrase my own, and began using it to transform my experience of difficult situations, it caused me to become a more powerful person. I mean that in the literal sense. I don’t mean it in some kind of metaphorical or poetic way. I literally became more powerful as a human being when I adopted that transformative concept and decided to use it whenever life seemed to be trying to kick my teeth out. That particular mental reframe helped me because I have a particular vulnerability to worry. Worry is my arch enemy. It tries to stop me from living fully and freely. It tries to stop me from pursuing my dreams. And worst of all, it tries to stop me from enjoying the fruits of my labor anytime I actually do succeed. Those thoughts dominated too much of my life. “I cannot control life, but I can control who I become. I choose to become a person who tries really hard. I choose to be a person who celebrates trying hard… trying hard to do what is right and to pursue the things I love in this life. You see, the most powerful single thought that ever changed my life was this: “I am a creator.” I may be a weak creator, with limited power, but I am a creator nonetheless. With each thought I purposefully direct in my mind, I create a significant part of the reality of what it means to be me, what it’s like to live my life. And so, I create. I create as much hope, belief, and motivation as I can with each thought I managed to take captive and bend to my will as a creator. From that foundation of thought I strive to participate in “the real world” as a man who is willing to face hardship in pursuit of the things and people I love. Do you see how this leaves luck out of it? By embracing my role as a creator, I stop waiting around. I stop hoping and start doing. This is a message I have shared with many of my clients who consult me for advice about dating and relationships. Why? Because many of them fear change. Even if you want something very badly, the fear of change can hold you back. Being a creator is better than being lucky. Because creators don’t need to wait around, hoping luck will knock on their door. As the saying goes, “Luck is a matter of preparation meeting opportunity.” Well, I have some preparation to suggest for you today. Prepare for romantic success by choosing to become a master of your own mind. Think of your mind as your garden, which you will prune and cultivate into a creation of health and beauty. Then, when Mr. Right stumbles into your garden, you will be ready for the opportunity. It won’t be an opportunity to impress him. Rather, it will be an opportunity to practice the art of striving for something beautiful. Without worry or fear holding you back. That is a life worth living, no matter what happens next. P.S. 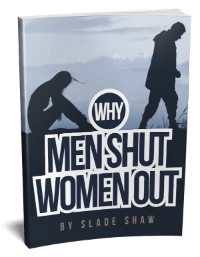 To take your preparation to the next level, consider investing in your knowledge of the strategies that others have found useful in dating and relationships with men. See my catalog of training materials here. Fast forward your success. Build the skills to be irresistible. This entry was posted in How To, Self Improvement by James Bauer. Bookmark the permalink. Wow! Another inspiring article. I have to say, I open up your emails hoping to find that it is filled with an inspirational message….I save them and look back on them often. While trying to understand men and what makes a great relationship, you have to start with a healthy state of mind. Look forward to your next article.. Indeed, The Truth/truth IS really INSIDE of us. All in all, God IS Love. [BIG “G”, rather than ‘lil “g”]. Thanks for such a profound msg of advice, it really touched my life in an amazing way. It has changed my attitude towards life in general. Awesome! I’m so glad to learn that this has had a positive impact on your life. You just made my day! I could not have read this at a better time. My husband died suddenly at home on november 4th at 47 years old. He was my very best friend and we had the kind of relationship that truly comes from fairy tales. Now, the bills are piling up, lm out of work because apparently being an exec can cause carpal and cubical tunnel, we have 5 children, 3 at home. We are going to lose our home, our life as we once knew it is over and there are many days (like yesterday for example) that I feel like just throwing in the towel and saying…okay universe…you win. 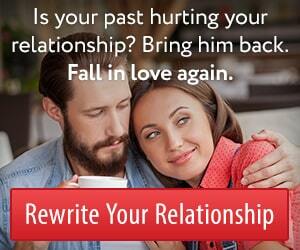 So with an amazing marriage, why then would I be on a relationship site? Well…i dont imagine I will ever find a love like mine again…but being in a very vulnerable state, I thought it prudent to understand the male mind if and when I end up meeting someone again. However, your words are inspirational beyond just relationships but translate into so many other facets of life. Thank you for making the words that use powerful and meaningful because you inspire so many people with them. Oh…and btw…my maiden name is the same as your last name so I laugh when and if anyone sees emails from you…because they just think youre some relative that is writing to me. Perfect disguise. Thanks again James. Your work is important. That’s why I’ve always said there’s really no such thing as “luck”… ONLY BLESSINGS! …unfortunately, recently when I did gift this to a man I recognized could rather benefit tremendously by knowing of it, he CHOSE NOT TO receive it(& I said it as plainly/ kindly as YOU just did)… on top of that, he was actually angry that I did & ATTEMPTED to humiliate/intimidate me about it,but it didn’t work ,of course; which IS WHY I say “attempted”, bcuz I did use what it was I was gifting him with within myself IN THAT VERY MOMENT! lol! !…I pray he “gets it”/understands it one of these days, nevertheless. Anyway, I recognize it’s a real blessing/ Godwink(as Squire Rushnell says) that you sent this particular email out today at just the right blessed time,=synchronicity, that you did = as I really got it just when I needed such REINFORCEMENTS! != NOT a coincidence, FOR SURE!! Keep up YOUR splendiforous work!! Well, Life is an inside job and love is everything! The truth is really inside of us but we keep looking outside for it. The story of the Greek gods. One day the gods were talking and trying to figure out how they could hide the truth from humans. The first god said, We could hide it on the highest mountain? The rest said, but they will get up there one day. The second god said, we could hide it on the bottom of the sea? But once again they felt that man would find it. They finally decided to hide it inside of us because they knew that we would never look there. This is beautifully written and so inspirational. about romantic relationships. You have such really good advice about life in general. This article, by far, is my favorite. The ressonate feeling I recieved reading it, will forever stay with me. Very nice and thank you for the great tips and passages to live by. Trish, thanks for taking a moment to encourage me with your kindness.